In a bid to craft out a fresh channel perception amongst the audiences in the Tamil market, the channel has decided to significantly up its investments in building primetime fiction properties in the next four months. For Vijay TV, the Tamil GEC from the STAR stable whose forte lay in building format properties, 'fiction' is now the new gameplan! In a bid to craft out a fresh channel perception amongst the audiences in the Tamil market, the channel has decided to significantly up its investments in building primetime fiction properties in the next four months. 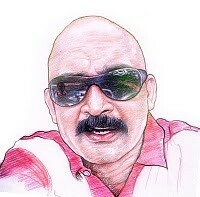 Not willing to divulge too many details, K Sriram, channel head , Vijay Television, tells afaqs!, "We will launch at least three fiction properties before the year ends. The investments will be based on the storylines, and we will justify the scale of the story with superior production values." The first fiction from the lot will be a love story that will be out in October. This will be followed by two new family dramas to feed the primetime band by the year-end. For the record, Vijay TV currently runs nine non-fiction properties on the channel. So, why is there an increased focus on fiction? "Fiction means habit, repeat audiences, stability, and consistency -- all the factors that makes a healthy GEC. Also, we have a point to prove in this genre, as we feel that the audiences in this market have been short-changed for a while now," says Sriram. Sun TV has an almost absolute hold on audiences across all the markets down South. Therefore, to make a dent in the space, Vijay TV had decided to bring in innovative content in format programming, opine various media planners. 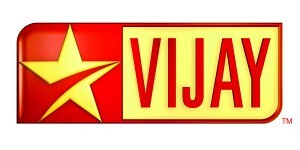 Reality shows were first introduced to the Tamil audiences by STAR Vijay. 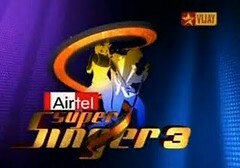 Some of its popular reality shows that brought a huge chunk of revenue to the channel include Airtel Super Singer, Jodi No. 1, Kalakkapovadhu Yaaru, and Anu Alavum Bayamillai. 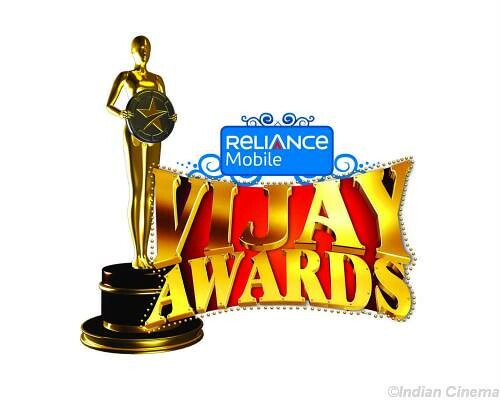 "For a long time, Vijay TV had been working in the non-fiction domain and it did meet success with the audiences. However, fiction brings in a larger audience set since families sample soaps first. Vijay was losing out on this chunk. Reality content can only be a subset of the entire programming of a GEC, and therefore, if Vijay continued to show only format content, it would eventually be identified as only a niche player," says S Muthukumar, senior vice-president, Lintas Media Group. And, it's not just audiences that the channel is targeting. The addition of fiction properties to the channel's programming lineup will also help Vijay TV add new advertisers to its basket and increase its spot rates. A top show on Sun TV commands an approximate rate of over Rs 20,000 for a 10-second spot. 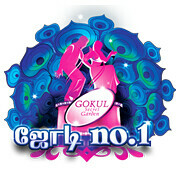 Now, compare that to a top show on Vijay TV, and the rates vary between an estimated Rs 7,000-Rs 8,000 per 10 seconds. "The addition of fiction to the line-up will also help the channel increase its rates," says a media planner who does not wish to be named. Currently, retail forms a strong source of revenue support for Vijay TV. Moving forward, the channel intends to tap into categories such as real-estate, entertainment, and hospitality, through customised brand solutions. 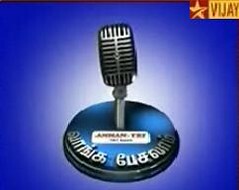 In the last fiscal, Vijay TV grew in revenues by an approximate 25 per cent, wherein the advertising contribution grew by more than 20 per cent, the channel claims. "Primarily, the big advertisers on television moving into sales deals based on value proposition and brand association had helped us. More and more advertisers have started to formulate their own methods of measuring a channel's efficacy, and this approach has worked in favor of Vijay TV," says Sriram. Meanwhile, the channel states that formats will continue to be its strength. "We are in talks with international production houses to deliver suitable content. In the second quarter of this fiscal, the market will experience this unique product," says Sriram.